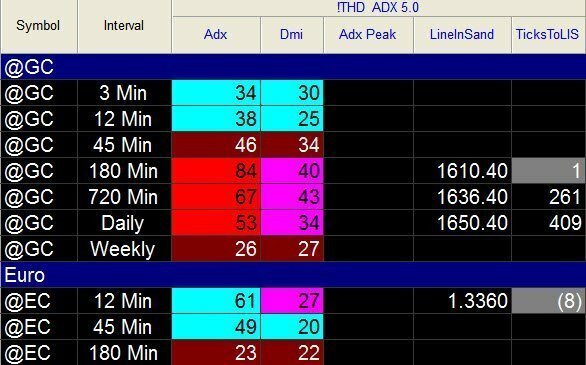 The THD scanning tool identifies the price where the ADX magenta peaks will appear and how far price is from that level. By knowing how far price is away from making an ADX magenta peak, you can allocate your time wisely and look for other potential trades while you are waiting for the ADX magenta peak to appear. Additionally, by scanning the multiple timeframes, you can identify whether to look for a trend trade (a trade that will going into the direction of the higher timeframe) or looking for a potential counter-trend trade when the ADX magenta peak comes in. NextWhere do I find my TradeStation Customer Number?